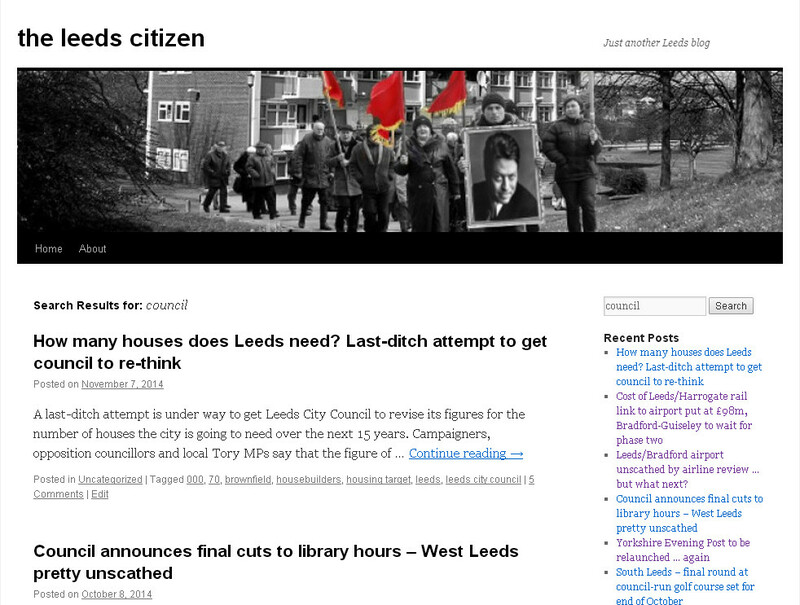 Why do you read the leeds citizen, what do you think of it, and how might it be improved? Those are just some of the questions that a media researcher from the University of Sheffield would like to ask. I’m sure the answers will be useful to me too. The research is being carried out by Tony Harcup, who has a long track record of writing about alternative forms of media. Once upon a time he used to work for the long-defunct Leeds Other Paper/Northern Star. It would help if you put ‘Leeds Citizen research’ as the subject. Drop him a line if you’re interested in helping out by answering a few questions. This entry was posted in Uncategorized and tagged leeds, media research, the leeds citizen, tony harcup. Bookmark the permalink.